These micro turning tools were specifically designed for the pen turner. Each has a handle length of 6-1/4" with an overall length of 10". 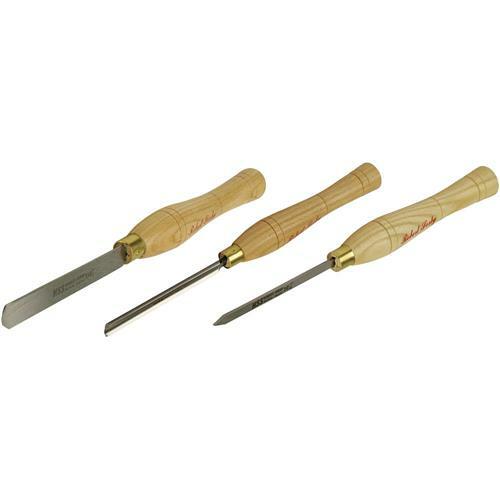 Roughing Gouge comes with a 5/16" blade, the Parting Tool with a 1/16" and the Spindlemaster with a 1/2". Buy all 3 and save!